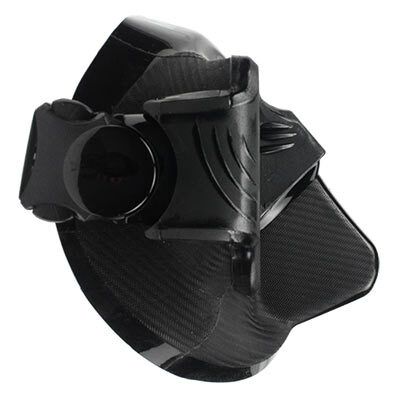 A high performance freediving spearfishing mask must be low volume, have a good field of view and be comfortable. The El Bajo Freediving Mask is definitely a low volume freedive mask with a surprisingly wide field of view. Our testers tell us the El Bajo freediving mask is COMFORTABLE because the mask provides plenty of clearance at the bridge of the nose, an area thats caused pressure points with other masks. In fact, testing by some of Americas top freedivers and spearfishermen prove the El Bajo Freedive Mask to be one of the best high performance masks on the market. If your El Bajo Mask is not a perfect fit, we will refund your purchase price and pay for the return shipping!! I used the mask snorkeling over the last week. It worked well with my existing snorkel and I suffered no issues with leaks. Kept it on for several hours at a time because it was so comfortable. I have been very impressed with all of the things I have bought from Mako Spearguns and I would definitely recommend them. Didn't work for my face (brow pressure and my cheeks require more coverage to seal) but seemed like a well made mask with nice soft silicone. Good FOV. I exchanged for the Catalina and I'm digging that mask. Customer service on exchange was good.